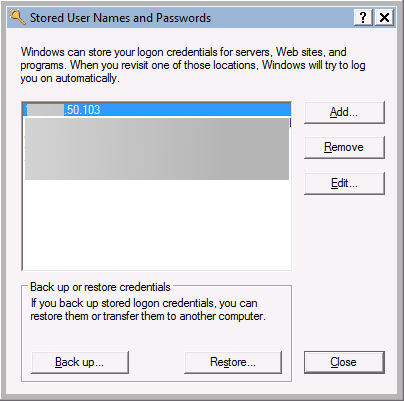 How to resolve “An extended error has occurred” or “Error Code 0x80004005” when trying to connect to a UNC share on Windows. Naturally, my next response was to just try to browse to it through Windows Explorer using the UNC path myself. When I did that I got a Network Error saying Windows cannot access the UNC share and the never so helpful Error Code: 0x80004005 Unspecified Error message. 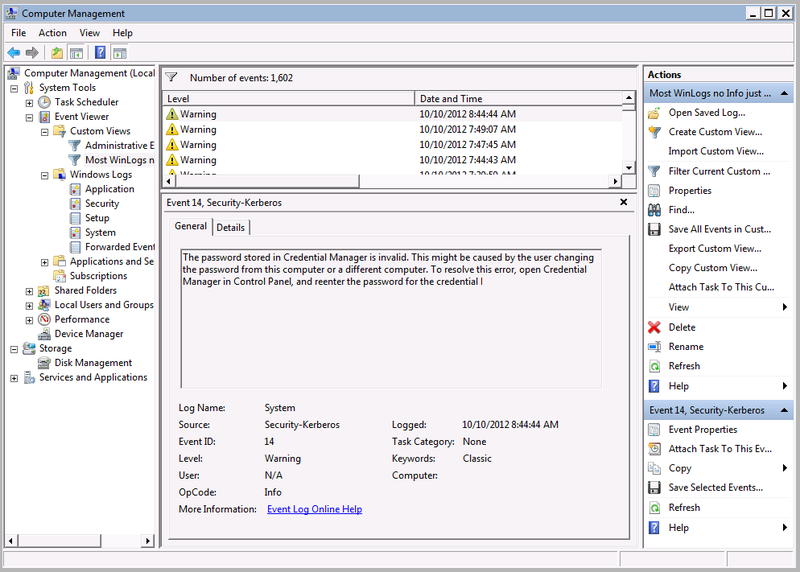 Puzzled I hit Event Viewer and saw a Kerberos error in the System logs that told me the issue was with a password stored in Credential Manager. 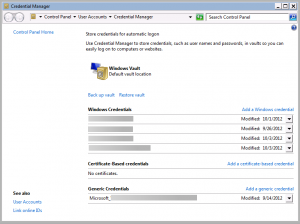 Ok so it’s a password vault built into Windows… here’s how we resolve the “An extended error has occurred” or “Error Code 0x80004005” errors when trying to connect to a UNC share on Windows. When you do you’ll see the Stored User Names and Passwords. Just edit or remove the problematic share. 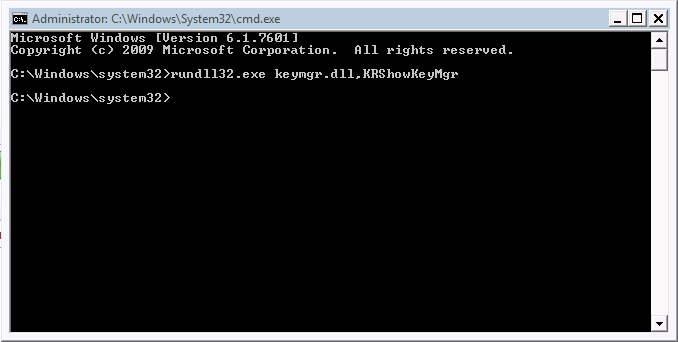 The new skool way (and this might just be a Windows 7+ thing… I haven’t verified it. 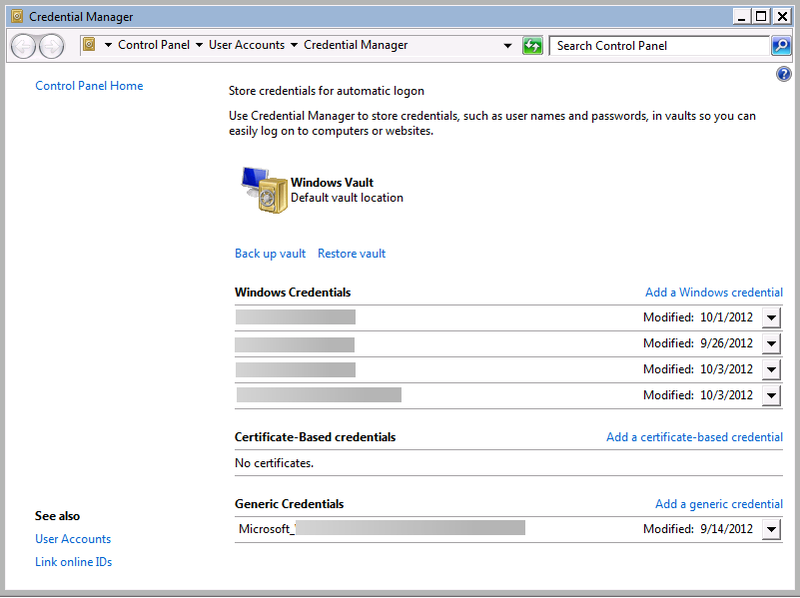 Hit your Orb, and in the “Search Programs and Files” box type in “Credential Manager” and you’ll see it pop up in your start menu. This brings up the… cooler looking?! way of editing or removing the UNC that’s being problematic.